We're getting closer and closer to the idea of having a central repository of all of our home media, then through digital jiggery pokery we'll be able to enjoy our media from anywhere in the house. 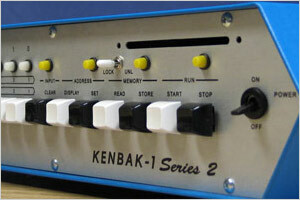 You can do this today by sedding up a Media PC that you control from terminals throughout the house. Cool idea, but it requires a lot of work up front - besides digitizing all of your media, you also have to set up a bulletproof network, run a dedicated PC, and the time and space to tend to it all. You know what's easier than all of that? Really long wires. I'm not kidding! As an apartment dweller, it's just easier to run some long cables from my entertainment center to wherever I happen to be sitting at home. Instead of discussing how nuts that might seem, I'd like to show yuo what I use to remotely control anything from anywhere in the house. 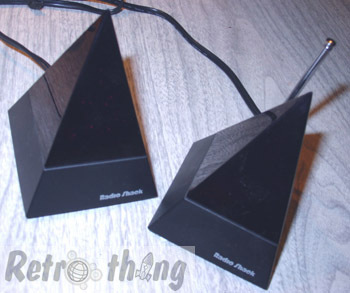 These Radio Shack pyramid shaped IR extenders have been around for a while (you can still find them for sale today). You place one of the pyramids in front of the IR device that you want to control, then place the other pyramid in the room where you're watching TV. Aim the device's remote at one pyramid and it'll transmit your commands to pyramid #2 and control the device. 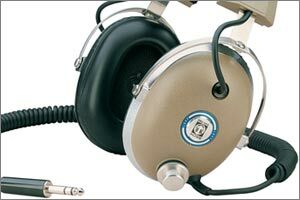 Mostly I use this with my Laser Disc player that is too heavy to trundle around between rooms. I could use other solutions to get the video from the LD to other TV's in the house, but this is one of the few devices I've found that will let me control the player remotely. Besides could these things look more like Doctor Who props?